We live in a world that is full of adventure, charm, and beauty, just waiting to be experienced and captured. Imagine not being able to bring your smartphone to document every journey because of the limitation it holds – the world would surely seem like a less colourful place. Luckily, technology has advanced to a point where smartphones offer the freedom to capture every moment brilliantly, anytime and anywhere. Two such devices are Samsung’s newly launched midrange smartphones, the Galaxy A8 (2018) and Galaxy A8+ (2018), featuring an IP68 water-resistant body and better yet, a water resistant Dual Front Camera to #MakeYourMoment and selfies worthwhile. “Millennials yearn for adventures and they make the most out of what life has to offer. This weekend they are camping at Chilling Waterfall; the next they are en route to Penang to selfie with the street art murals of George Town; and the following one they are riding the rapids of the rivers in Kuala Kubu Bharu. All of these adventures must of course be documented and posted for the social world to see, and there isn’t a more perfect device to accompany them on their escapades than our new water-resistant Galaxy A8 and A8+!” said Mr KM Liew, Head of IT and Mobile Business at Samsung Malaysia Electronics. ALSO READ Samsung Galaxy Note9 Launched And It's Ohsem! The Galaxy A8 and A8+ introduce us to Samsung’s first ever IP68 Dual Front Camera (16MP+8MP F1.9), to capture gorgeous selfies in any conditions, even underwater, making them the ideal companion for an outdoor water adventure. Moreover, with the 16MP F1.7 rear camera, every photo is captured perfectly on your first try, appearing crisp, detailed, and vibrant – ready to be shared with others as it is. 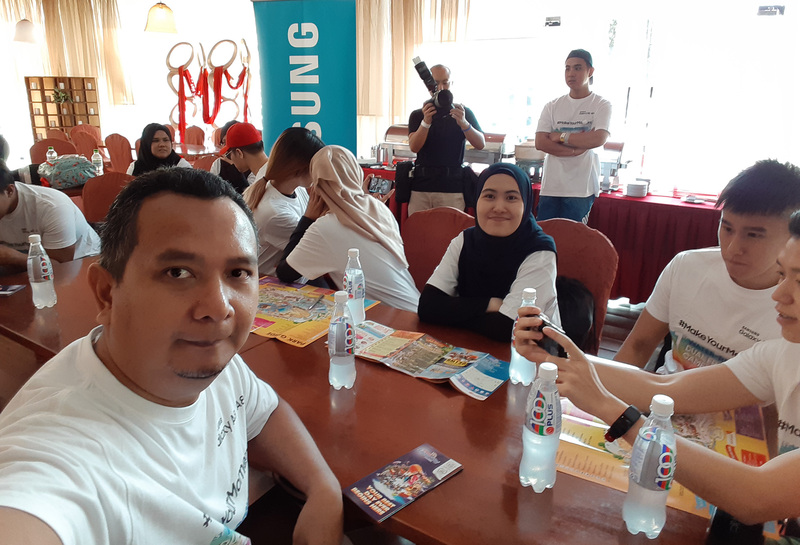 To put this to the test, Samsung designed an experiential session dubbed the “Galaxy A8 Lagoon Quest” at Sunway Lagoon, subjecting participants to immerse in a series of water-related challenges. 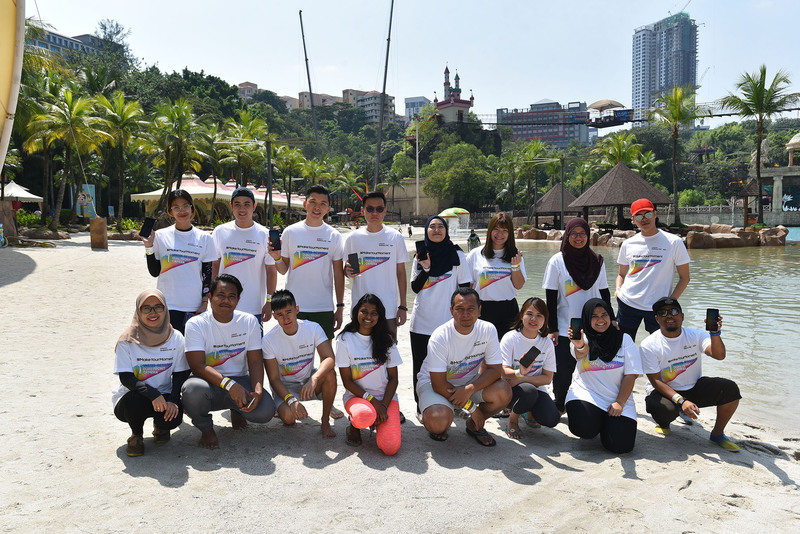 The quest took place in various attractions in Sunway Lagoon including the majestic Vuvuzela ride and the heart-racing bungee jump, where participants conquered heights, flaunted their selfie skills, displayed their abilities to solve clues and complete exhilarating tasks with the Samsung Galaxy A8 and A8+. The quest also incorporated the advanced camera and recording capabilities of the phones, reiterating its position as the perfect devices to document and share experiences with friends in the social sphere. The Galaxy A8 (2018) and Galaxy A8+ (2018) are available in Malaysia at the recommended price of RM1,799 and RM 2,499 respectively (inclusive of 6% GST). Both devices come in Black, Gold and Orchid Gray to suit your personal style. For more information on the Galaxy A8 (2018) and Galaxy A8+ (2018), please visit http://www.samsung.com/my/smartphones/galaxy-a8-a530 and http://www.samsung.com/my/smartphones/galaxy-a8-a730.